100% Natural, 100% Raw Himalayan Pink Salt. Our culinary and gourmet salt is hand crafted, and hand mined at the source: The Himalayan Mountains. The 100% Authentic Himalayan Salt All Natural, NON GMO, VEGAN, The best Pure Himalayan Salt you can buy. May Support Libido and could reduce the signs of aging. Grain size like a peppercorn! Perfect for a grinder. Approved by the FDA and presented in a clear sealed package. The pink salt looks great in a clear grinder or left in our clear packaging. Pink salt is found in the Himalayan mountains and is a mixture of about 84 different trace minerals, which are essential for nutrition. It gets its pink hue from the content of iron oxide. It is also naturally occurring, which means it is not subject to dyes or additives to create the beautiful color. 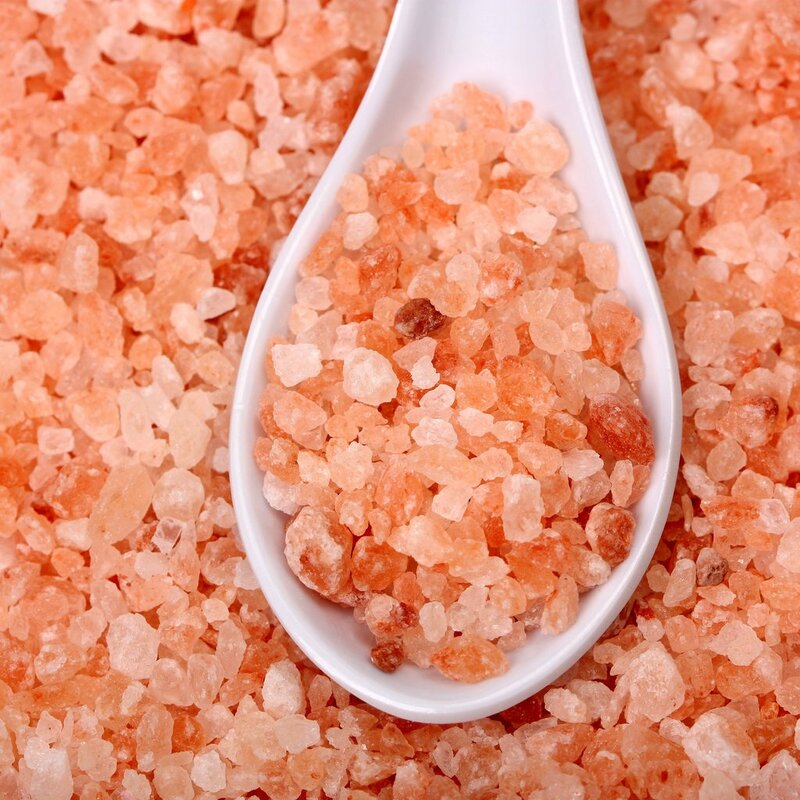 Himalayan salt is naturally rich in Iodine, and 80+ minerals and elements. Use just like Kosher Salt! All natural Red and White crystals. Colors do vary as the product is 100% natural and unaltered. GOURMET FOOD GRADE HIMALAYAN SALT - Always Fresh. Always Guaranteed! The Best Salt on Earth. You will Love this 100% Pure Himalayan Salt packaged at the source!